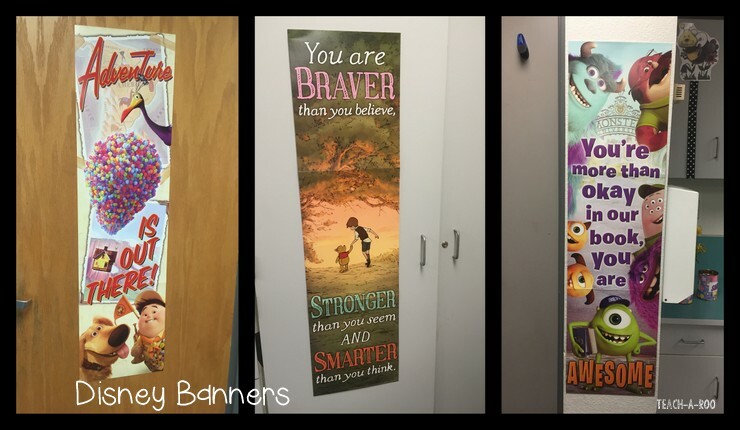 Have you seen the latest Disney classroom decor from Eureka School? It SPEAKS to me, friends! 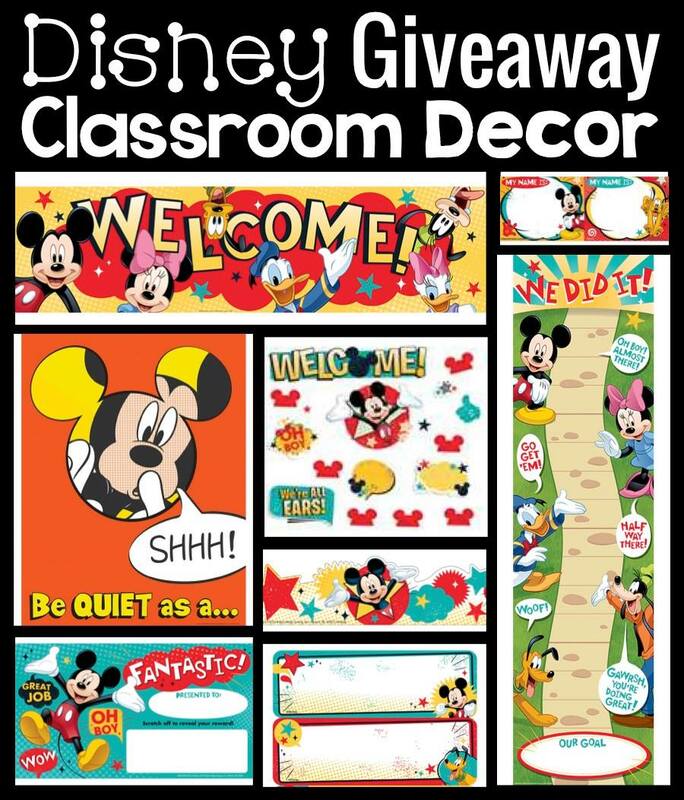 I have been WAITING, what seems like FOREVER, for Disney themed classroom decor. It has FINALLY come! That is why I am so excited to have the opportunity to freshen up my space, show my Disney Side, and give you a chance to win some great products! I am teaming up with my friends at Eureka School and Jen at Simply Kinder to add some Disney magic to our classroom spaces. 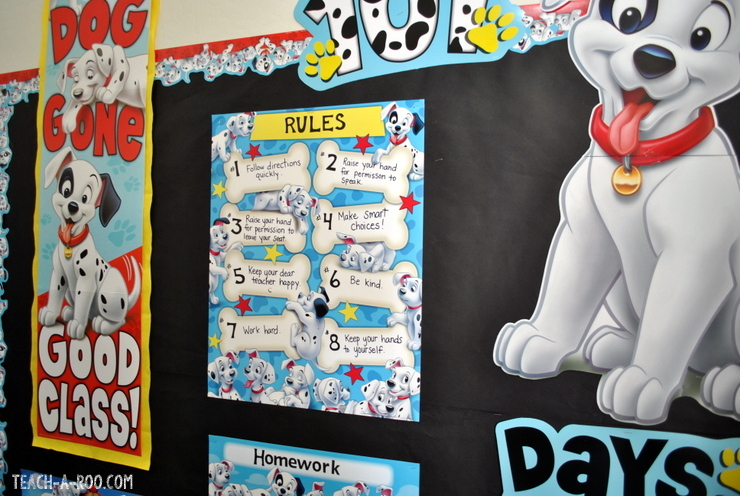 Check out this 101 Dalmations board. I love it so much! 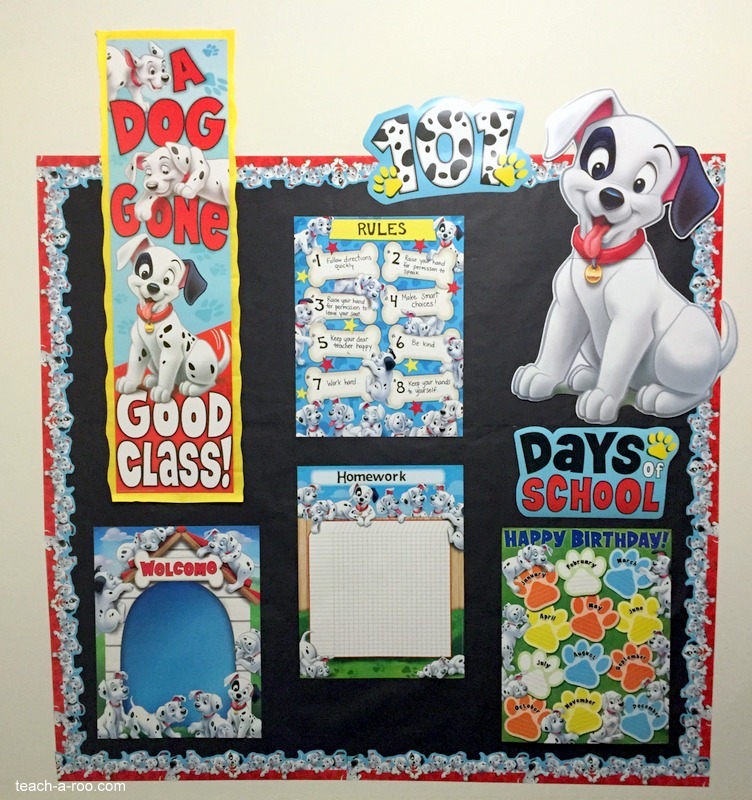 The giant “Patch” bulletin board set is actually a chart that helps you keep track of your days in school! He comes with 120 spots so you can add one each day. Adorable! I used the “Dog Gone” banner and offset it with some yellow butcher paper. I made it pop off the board to add some visual interest. Did you see the adorable 101 Dalmatian border? So cute! I also love the “Rules” chart. The charts come in a pack together. I added the “Rules” and “Homework” labels using letter stickers, but you can make them into anything you want. I love that you can customize the set to fit your needs. I always like to have some sort of good character board, and this little Nemo poster gave me some ideas. 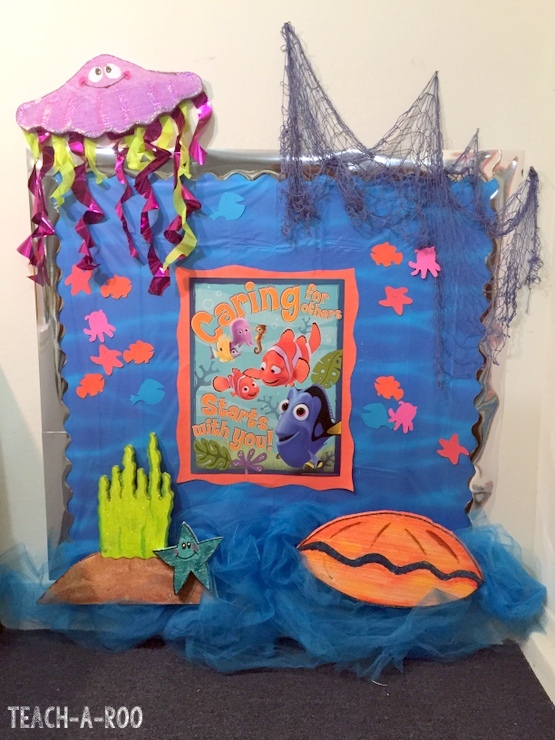 Using the poster as a base, I created an ocean themed board using little Nemo character cutouts I found on Disney.com. 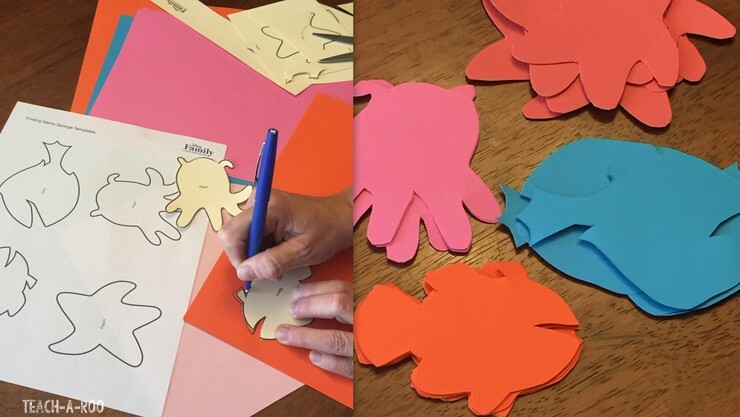 The premise is whenever some one shows they are caring, they can put their name on a cutout. Hopefully my ocean will be filled with caring students! I love using posters as the center of the board, mostly because it is so easy! The title is already there and I DON’T have to try and staple up lots of letters. I also got an assortment of Eurkea’s 4 foot banners! I love these because they are printed on a really sturdy cardboard and add a pop of color and motivation all at the same time! These are such fun, loveable characters, too. 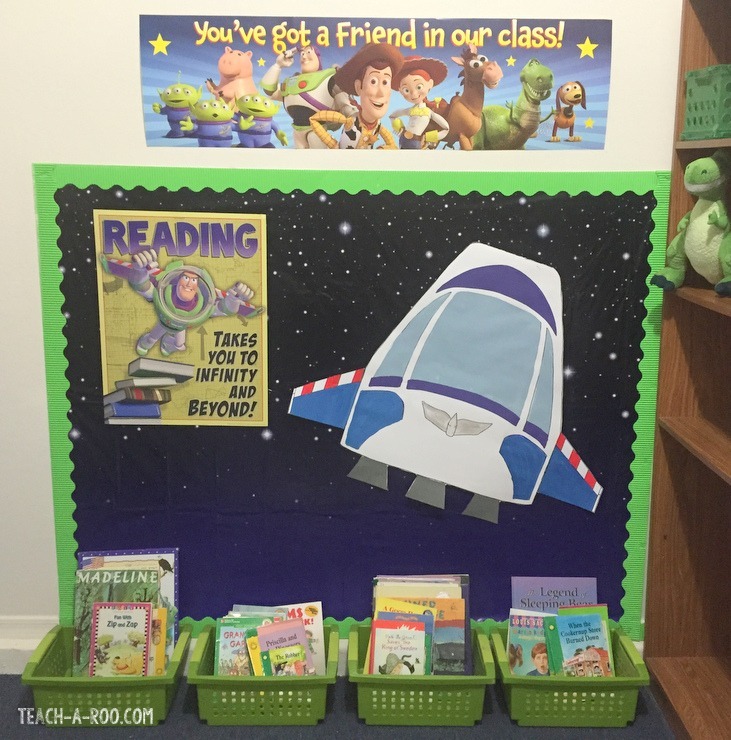 How about a little Toy Story reading center? I think this turned out so cute. My husband helped me make the spaceship. I am going to add some more stars and class reading goals to the board to make it interactive. How fun is this? Are you ready to show your Disney side? “Well, alright!” as Mickey would say. Check this out! 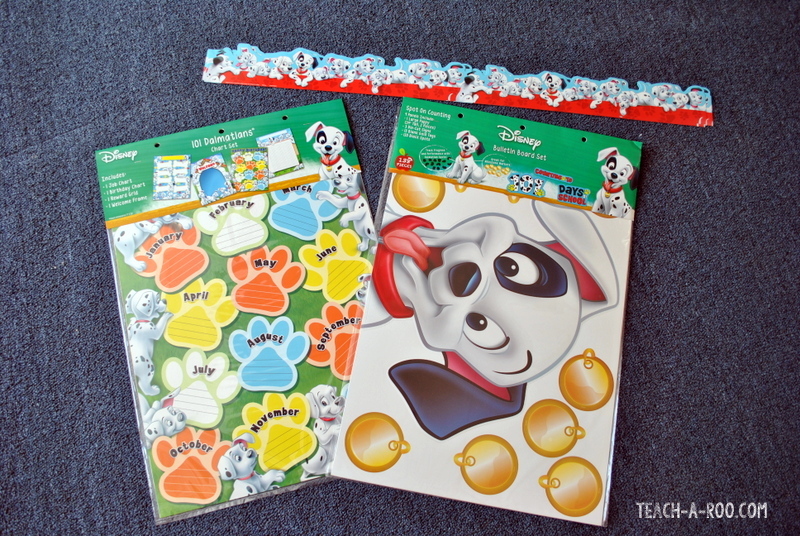 Enter today, and then hop over to Simply Kinder to check out Jen’s Disney Classroom Makeover! See ‘ya real soon!